The following section lists films and documentaries that develop the issues involved in increasing the number of women and minorities in Information Technology as well as sources that encourage this participation. Go ahead and take a look at some of these interesting videos that highlight women in the IT field! This 23-minute documentary profiles the stories of three Canadian women entrepreneurs from diverse backgrounds who overcame incredible odds to emerge as successful entrepreneurs in the fields of Science and Internet Technology. This 54-minutes documentary is by filmaker Helen De Michiel for the Gender Chip Project, which aims to increase the number of female participants in traditionally male dominated scence disciplines. The film follows the lives of several young women majoring in the sciences, engineering, and math at Ohio State University in Columbus. The footage ranges from the first year of college through graduation documenting the experiences and struggles that these students face as women stepping into traditionally male domains. This 51-minute documentary profiles five women from different countries and looks at their scientifici work and the reflection of feminie values illustrated. 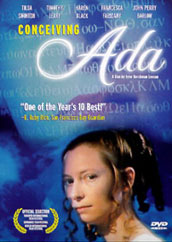 This 85-minute film is a fictionalized account of the life story of Ada Byron King, Countess of Lovelace, and her pioneering contributions to computer science, including inventing the first computer language and predicting its use in music, poetry, and art. This is a six-part series of 1-hour videos on notable women scientists and their lives, and what helped them succeed in traditional male-dominated fields. A 1-hour documentary that celebrates the history and the contributions of women in computing. It profiles successful women in the computing field today and their diversity. The film also explores the reasons why women began to leave the field in the mid-80's and why there are fewer women than men in computing today. This 15-minute video is based on the findings of The American Association of University Women in their nationwide study of equity problems in schools across the U.S. It examines how inequitties affect girls' self-esteem, career aspirations, educational experiences, and interest in math and science. This 30-minute video with narrator Mae Jemison, former NASA astronaut and president of the Jemison Group, examines the under-representation of girls in technology courses and careers and spotlights innovative steps taken by educators and parents to close the technology gender gap. This 25-minute film profiles the stories of 4 women mathematicians with careers based in Europe and N.&S. America. The women recount their personal experiences, and look at the impact of cultural pressures and differences. This documentary gives an overview of the history of women in science, as well as profiles six contemporary women scientists and their careers.